It's amazing to me how close England came to having another Elizabeth to rule the kingdom, well before the current Elizabeth II. King James VI of Scotland and I of England, was named successor to the throne after Elizabeth I died and was the son of the infamous Mary, Queen of Scots. He had three children, Henry who was heir to the throne, Charles (called Baby Charles), second in line to the throne, and Elizabeth, third in line to the throne. There were plots and intrigues in abundance and many conspired to put Elizabeth on the throne. King James was very suspicious of his two older children, who were much loved by the people. He was constantly accusing them of treason, of plotting to usurp the throne. Elizabeth came very close to being the sole heir to the throne. After her brother Henry died, Baby Charles was next in line, but he was sickly and not expected to survive. Ultimately, Charles did survive and became Charles I of England. The King's Daughter focuses on King James' attempts to marry Elizabeth off in the most politically strategic betrothal. Elizabeth had a precarious existence at court. In constant fear of being accused of treason and losing her head and feeling more like livestock on the auction block than a person, she was navigating dangerous waters. The author introduces the (fictional) character of Tallie, a black slave girl who is given to Elizabeth as a gift from her mother. Elizabeth sees potential and senses a kindred spirit in Tallie and frees her, making her the chief lady-in-waiting in her household. Tallie becomes Elizabeth's ally and confidant. What I liked about this book was the interesting dynamic between King James and his children. James is portrayed here as smart and calculating, but quite uncouth. He did not seem well-loved by the English people. So as I stated before, he was constantly suspicious of his children because he knew that England preferred his children to him. I also enjoyed the friendship between Tallie and Elizabeth. Although a fictional character, Tallie's introduction into the plot added a touching aspect of camaraderie to the book. 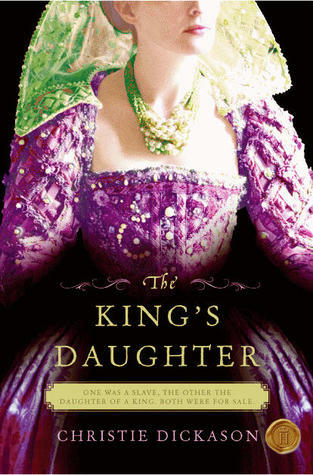 In all, The King's Daughter is an enjoyable and somewhat informative historical novel. Note: The author adds a helpful character list at the end of the book, outlining which characters were real and which were fictional, as well as an author's note regarding the historical aspects of the novel. The court of James I is a volatile place, with factions led by warring cousins Robert Cecil and Francis Bacon. Europe is seething with conflict between Protestants and Catholics. James sees himself as a grand peacemaker—and what better way to make his mark than to use his children in marriage negotiations? Into this court come Henry, Prince of Wales, and his sister Elizabeth. Their louche father is so distrusted that soon they are far more popular than he is: an impossibly dangerous position for a child of the king. Then Elizabeth is introduced to Frederick of Bohemia, Elector Palatine. He’s shy but they understand one another. She decides he will be her husband—but her parents change their minds. Brutally denied their support, how can Elizabeth forge her own future? At once a love story, a tale of international politics and a tremendous evocation of England at a time of great change, this is a enthralling novel to thrill all lovers of fine historical fiction. 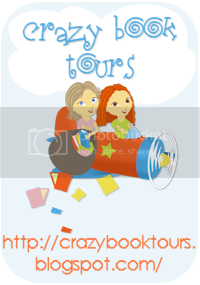 FTC disclaimer: Book was provided in conjunction with a book tour and was mailed to the next tour participant. Opinions are entirely mine and I was not monetarily compensated.